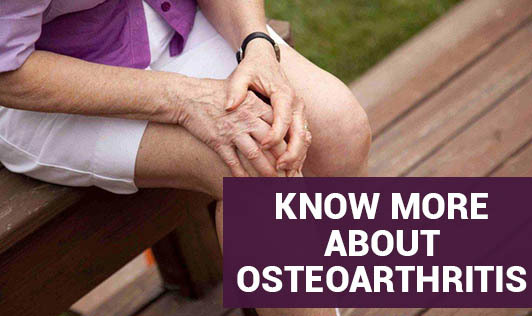 Occurring mainly among older population, it is also sometimes called degenerative joint disease or osteoarthrosis. The effect of osteoarthritis is most often seen in the hands, knees, hips, spine and lower back. The cartilage that normally cushions the joints wears away, eventually disintegrating into nothing. As this occurs, the resultant grinding of bone against bone causes bone spurs to form. The joint may swell and lose the ability to move freely. Symptoms: The main symptom of osteoarthritis is joint pain and stiffness, which typically develop over many years. It is limited to areas containing joints. The pain from osteoarthritis may become worse after exercise or experiencing humid weather and the pain may settle down during periods of rest. Causes and risk factors: According to Medline Plus, no one knows the exact cause of osteoarthritis, but some risk factors have been identified. A family history of the disorder, obesity and old age are factors in developing osteoarthritis as well. Joint injuries and overuse due to sport activities or work may lead to the development of degenerative joint disease. Treatment: Non-steroidal anti-inflammatory drugs, including ibuprofen and aspirin, or prescription painkillers may be given to ease the pain of osteoarthritis. Injections of corticosteroids into the joint reduce swelling and ease pain temporarily. Exercise and physical therapy can help restore strength to muscles and joints. In severe cases, surgery may be used to rebuild or replace the joint, fuse the bones together, change bone alignment or remove damaged cartilage. The biggest complication with osteoarthritis is an increasing difficulty in performing everyday activities, including walking and moving up and down stairs.